Tithebarn export’s Denis Sowler spends a considerable amount of time trekking the globe, and discussing and advising with local suppliers and consumers. He has recently returned from south east Asia where he was taking part in the first ever NORTHERN POWERHOUSE trade mission. This mission was very heavily supported by the British government and both the Prime Minister, the Rt Hon. David Cameron and the Secretary of State for Business the Rt Hon. 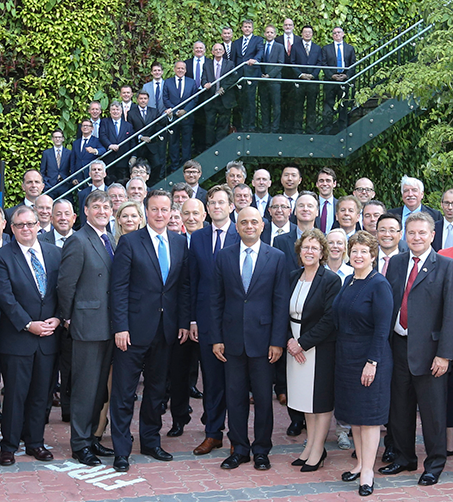 Sajid Javid held receptions in both Singapore and Malaysia, which were attended by Denis and Tithebarn customers. Denis was also interviewed for Radio 5 Live’s ‘Wake up to Money’. You can listen to the interview here BBC Interview. You can read Salid Javid’s letter here.